If you are looking for Thanksgiving appetizers to serve your guests while they wait for their turkey dinner, these cute pumpkin shaped cheese balls are a great place to start. There is also a recipe for pumpkin pie dip that looks like a crowd pleaser. 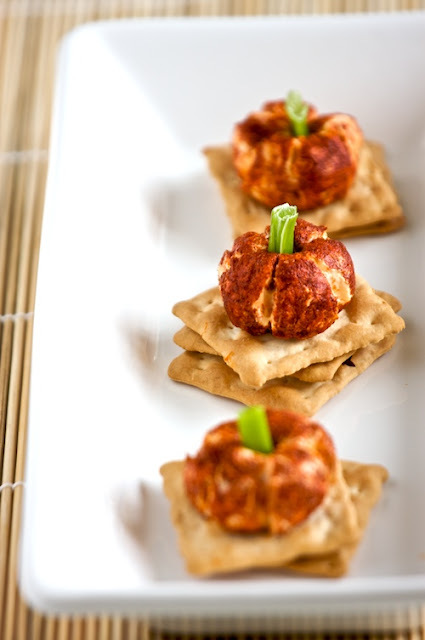 You can get three no-bake Thanksgiving appetizer recipes over at Kitchen Simplicity.